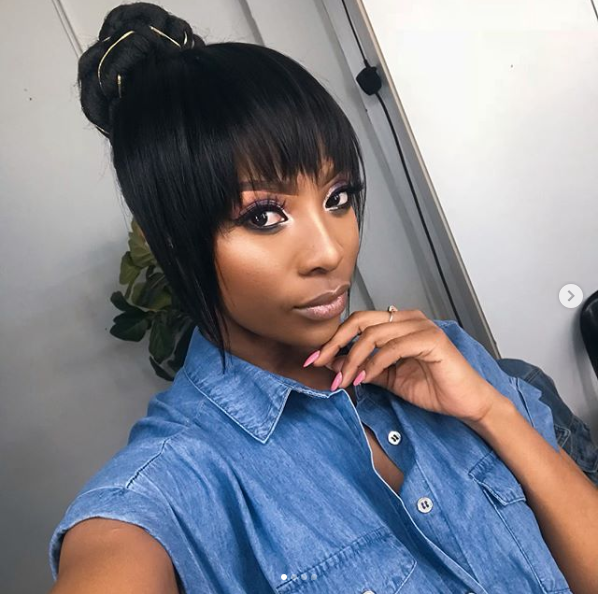 Peal Modiadie Opens Up About Her Broken Engagement! The media personality who previously had said would keep her personal life private was hopeful her engagement would survive the second time around but sadly it didn’t. Now she’s sharing why she doesn’t regret making it public again. In a recent interview on TrendingSA, Pearl shared why she had given love a second chance and how she knew it was time to let go of her relationship to ex fiance Nkululekho Buthelezi. “I went back the first time because you wanna give them a second chance, you know, you wanna see if you were right or wrong about them and I think it got to a point where it didn’t feel the way it was supposed to, it didn’t feel the way we knew it was supposed to, you know what love feels like, when it stops feeling like it and that small voice is talking and it’s time to listen, it was time to listen and walk again” she said. “I like having real-life experiences, when I’m happy, I like sharing it, when I’m not happy you will know, I think when I die I want people to say that Pearl was a beautiful experience and we experienced her in her purest form and I wear my heart on my sleeve, I’m not ashamed of that, I get emotional when I talk about love, it’s just, I always have pure intentions…” she added.